After his sudden decision on Friday, August 25, 1939, to cancel his invasion of Poland, Adolf Hitler ordered preparations for a second planned invasion. From the Army’s Quarter­master General he learned that the earliest date on which mobi­li­za­tion could be com­pleted was Thursday, August 31. There­fore, he set Friday, Septem­ber 1, as the new launch date. 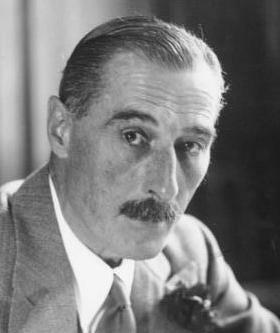 Between those two Fridays, Hitler and his for­eign minis­ter, Joachim von Rib­ben­trop, used every oc­casion to reas­sure their inner circles that Great Britain and France would not come to Poland’s aid in the event of war, even though all three nations were in, or soon would be in as in the case of France, a military alliance with Poland. During those days of peace Hitler con­tinued his diplo­matic press of iso­lating Poland from its West­ern backers. The Ger­man offer to meet a Polish pleni­po­ten­tiary in Berlin to resolve the Ger­man-Polish dis­pute over the fate of the eth­nic Ger­man en­clave of Dan­zig and the ethnic Ger­mans living in the Polish Corr­i­dor was rejected. The Poles saw through Hitler’s attempt to over­awe the Polish dele­gation in the Ger­man capi­tal, so the Polish For­eign Office recom­mended a meeting, per­haps in a rail­way car, in a small town some­where near the Polish-German border. The next day, Wednes­day, August 30, the Polish ambas­sador, Jóżef Lipski, was shown the door by Ribben­trop for arriving at his office with­out the requi­site pleni­po­ten­tiary credentials required to negotiate terms. Ribben­trop treated the British ambas­sador, Sir Nevile Hen­der­son, worse. The two men came close to blows when Hen­der­son, crim­son faced, hands shaking, finger wag­ging, real­ized that his coun­try had been duped all week long as Rib­ben­trop read aloud, in an angry and scorn­ful voice Hen­der­son recalled, a new list of demands on Poland but refused the am­bas­sa­dor’s request to for­ward it to London and War­saw. Hen­der­son left the tense meeting con­vinced that the last hope for peace had vanished. In War­saw, on this same date in 1939, Polish autho­rities an­nounced a general mobi­li­za­tion when it became clear that gen­u­ine dia­log with Ger­many was point­less. The see-saw week of diplo­ma­tic highs and lows had cost the Polish Army valu­able time in pre­paring for the over­due German in­va­sion of their country, which occurred on Friday, September 1. 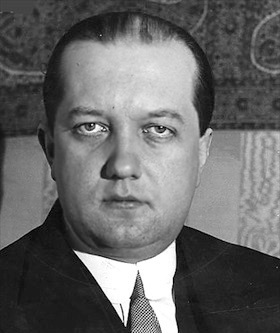 Left: Ambassador Jóżef Lipski, Polish diplo­mat in Ger­many, 1933–1939. Poland’s for­eign minis­ter, Jóżef Beck, selected Lipski to nego­ti­ate for Poland during the week running up to the in­va­sion of that coun­try. Lipski was not the Polish pleni­po­ten­ti­ary Ger­man For­eign Minis­ter Joachim von Rib­ben­trop had demanded to meet with on August 30, 1939. The Poles were dead set against nego­ti­ating a solu­tion to the Polish crisis while meeting in the lion’s den; instead, they sent Ambas­sador Lipski, who lacked the requi­site cre­den­tials, to feel out the Germans. Right: Sir Nevile Henderson, British ambas­sador to Ger­many from 1937 to 1939, believed Hitler could be mani­pu­lated into em­bracing peace and co­oper­a­tion with the West­ern powers. On the night of August 30, 1939, Rib­ben­trop pre­sented Hen­der­son with Ger­many’s “final offer” at resolving the Polish crisis, warning him that if Ger­many received no reply by dawn the “final offer” would be con­sidered rejected. Several days later it was Hen­der­son who, on the morning of Septem­ber 3, 1939, two days after the Ger­man inva­sion of Poland, delivered the Brit­ish ulti­ma­tum to Hitler, declaring that if hostil­i­ties between Ger­many and Poland did not cease by 11 a.m. that day a state of war would exist between the two coun­tries. Ger­many did not respond and British Prime Minis­ter Neville Chamberlain declared war on Germany at 11:15 a.m.